Tiffany & Kiu called me up and asked if I could be available for a last minute portrait session. 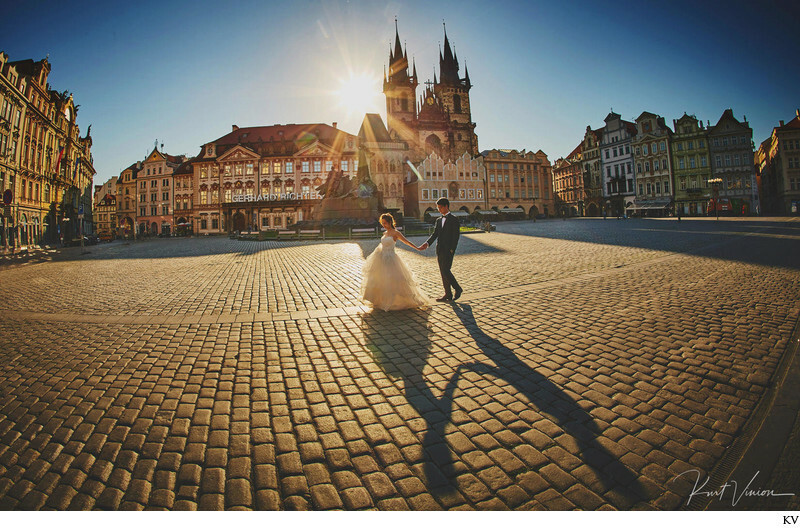 They already had one in Prague with a local photographer and felt that it was a bit of a disaster. As Tiffany stated, 'we simply deserve better.' Truth be told I did have a bit of a laugh at their expense as - why hadn't they contacted me before? But the reality was - they went through an agency and everything was a 'bit of a disaster'. After hearing her ideas I agreed, but only if we can do it the next day and at sunrise. The next day we did just that - headed out before sunrise to capture two very sweet people and in their way. After all it is their portrait session. This is one of the many simple yet beautiful portraits - just a young couple in love walking hand in hand in the Old Town Square in Prague. Location: StaromEstske nam. | Stare Mesto, Prague 110 00, Czech Republic.